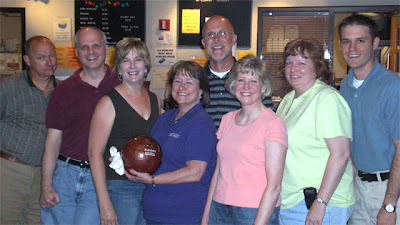 My boss took me and my senior staff peers in the Operations Division bowling a couple of weeks ago. What a nerdy looking group! Turns out, Kelly was a bowler in high school, so she smoked us. I broke 100 both games, which isn’t bad considering it’s been a few years since I last bowled. Next Article What drives your church?